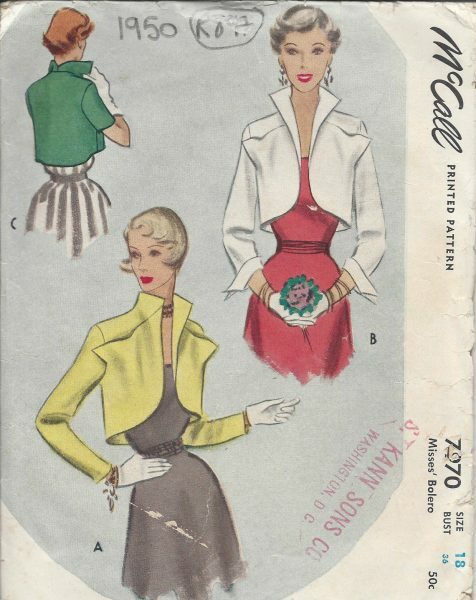 The designs for jackets, coats and suits in the 1950s were designed to give a timeless quality, which makes these styles such a popular choice for modern day life. 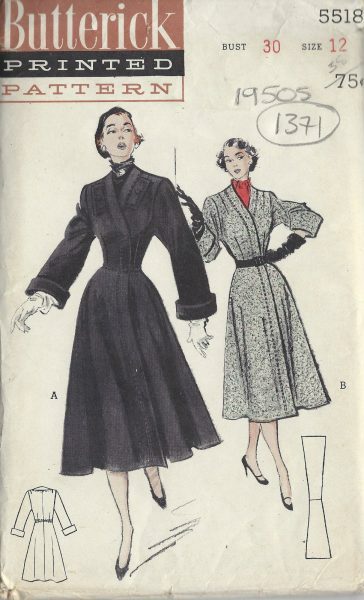 Typical designs include the swing coat, swagger coat, cape coat, trench coat, long coat, half topper, raincoat and suit coats. 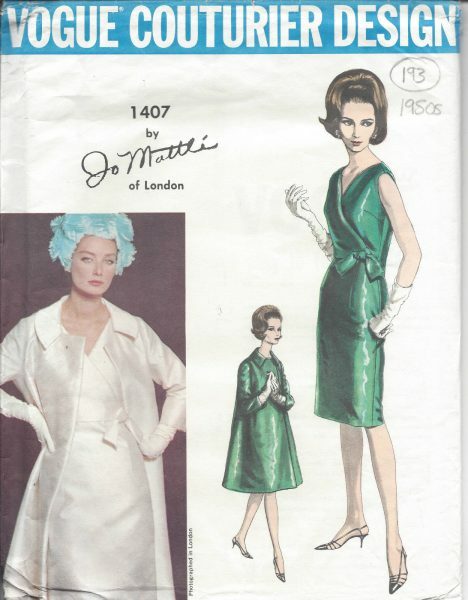 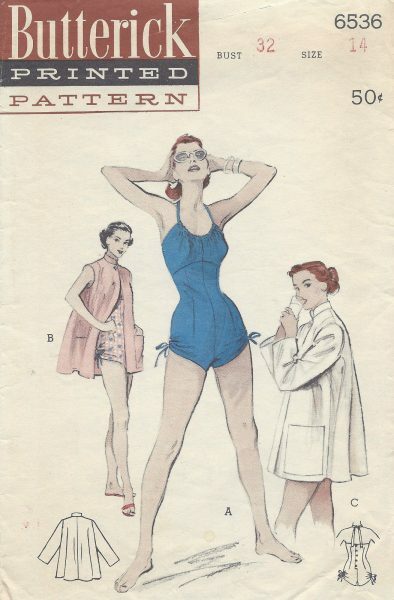 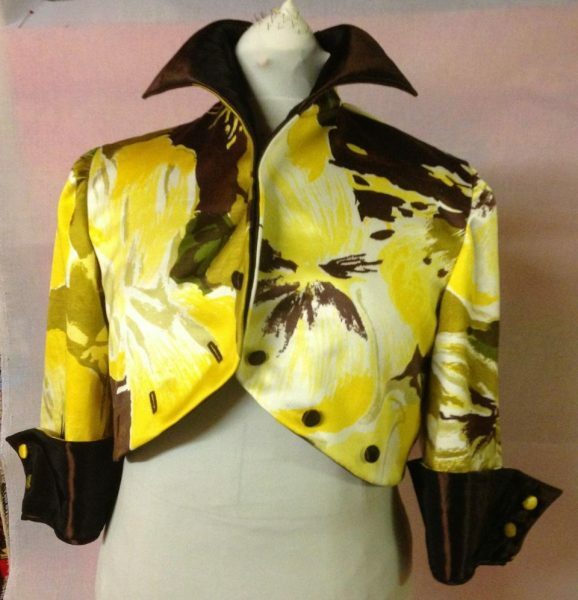 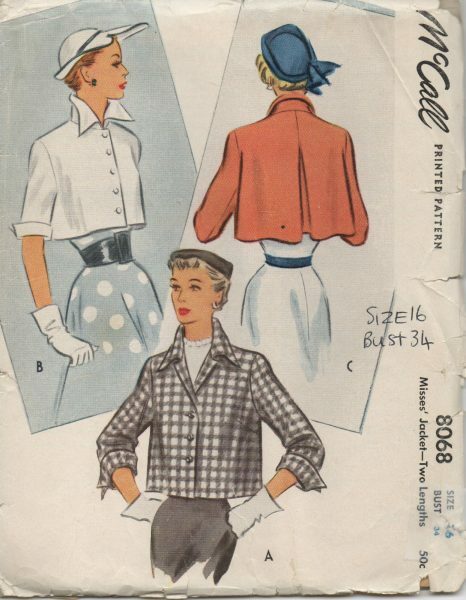 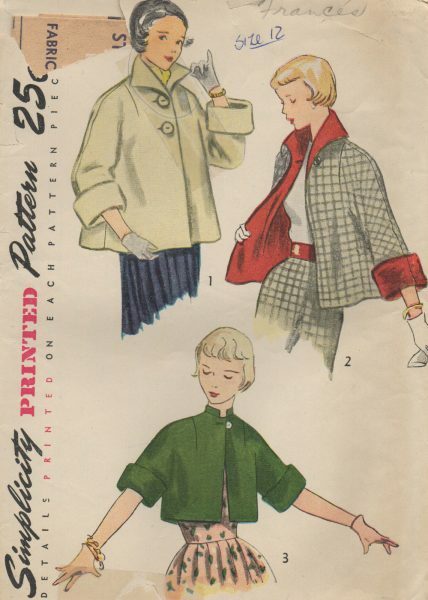 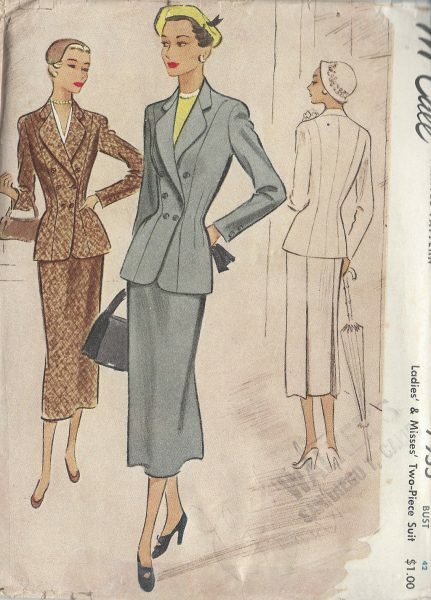 We offer a huge range of vintage sewing patterns for jackets, coats and suits from the 1950s. 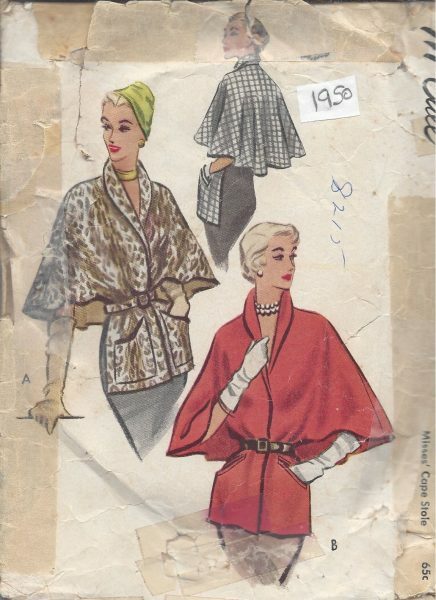 Recommended fabrics to use to get an authentic ‘50s look and feel would be tweed, wool, velvet, velour, camelhair and real or fake fur. 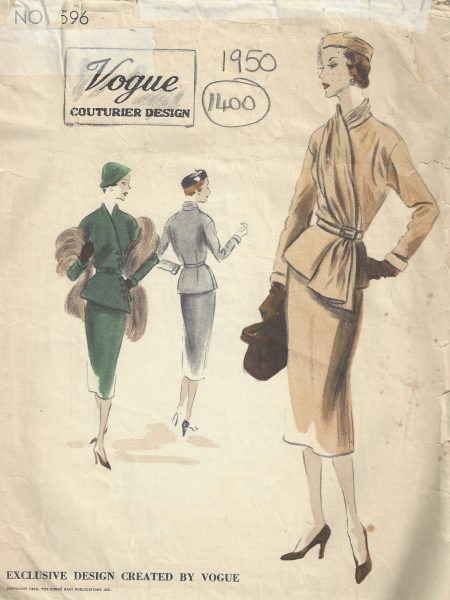 Designed to be sleek and sophisticated, there were minimal embellishments other than large round buttons and fur collars. 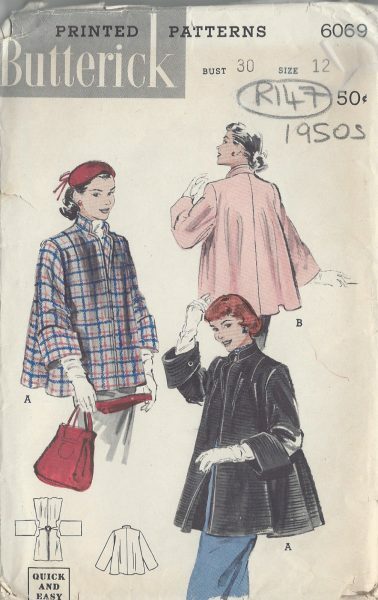 Coats were usually designed with full swing skirts and dresses in mind, such as the princess coat or swing coat, where they were cinched in at the waist, and came out to cover the skirts and dresses they were worn over. 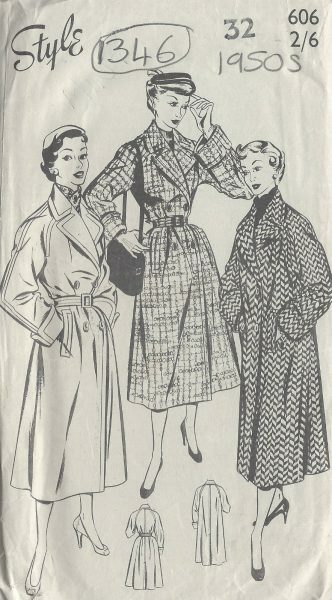 Aside from suit jackets, most jackets were worn as more of a casual item, worn short and often in plaid, checks, tweed, and corduroy. 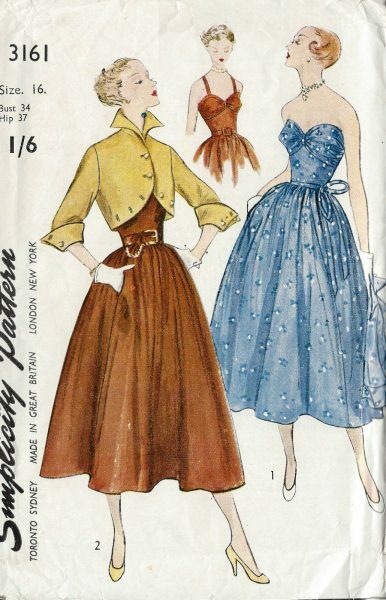 There was also the archetypal pin-up, rockabilly style, which would feature a matching wide belt in order to accentuate the hourglass silhouette.